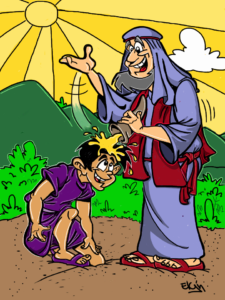 Use this free cartoon caricature style illustration and coloring page when teaching about how David became King of Israel. 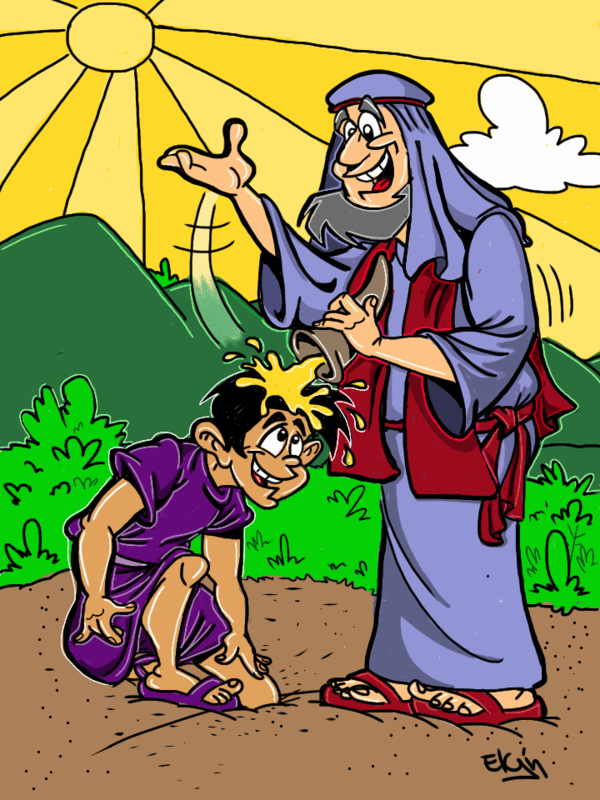 This printable download shows the Prophet Samuel pouring the anointing oil on young David’s head. This Bible story is found in 1 Samuel 16. Use our search page to find free lesson plans based on that same scripture passage. You can download the print friendly PDF version or PNG image of the full colored picture. We’ve also uploaded a free coloring page based on this same file. Download the printable black/white coloring sheet in either PDF format or as a PNG image file.